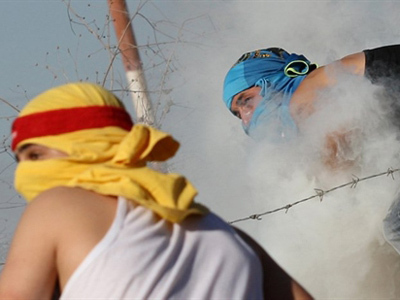 Several people have been killed and dozens injured in Gaza and Jerusalem in the past two days amid escalating tensions in the region. At least seven Palestinians, including three children, have been killed in Gaza after Israel launched air and artillery attacks on the territory. One woman fell victim to a bus blast which rocked central Jerusalem; dozens were injured. The attacks, which occurred on Tuesday, have also left at least 14 people injured, AP reports. According to the agency, the first attack missed its target, a group of Palestinian militants, and hit a big family playing football in their backyard instead. The Jerusalem Post newspaper called the attacks on Tuesday “the bloodiest day in a week of escalating violence”. Israel acknowledged that civilians were killed in the attacks, but said the offenses came as a response to repeated rocket fire from the Gaza Strip towards Israel. On Tuesday, the country’s Prime Minister Binyamin Netanyahu issued a statement saying he “expresses regret” at the loss of civilian lives in Gaza. 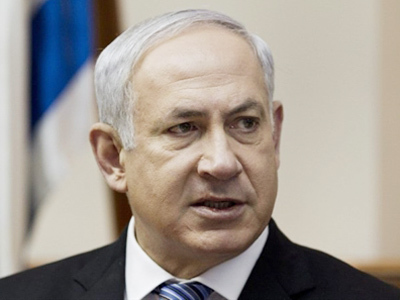 Netanyahu said that the killings were accidental. The Jerusalem Post reported that two rockets fell on Israeli town of Beersheba on Wednesday morning and one of them wounded a 56-old man. 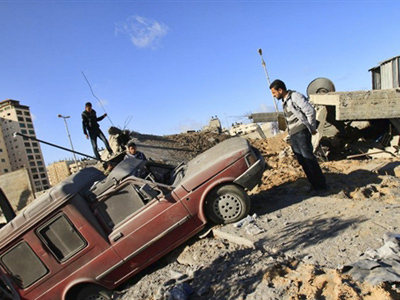 The newspaper said that other localities, including the coastal city of Ashdod, have also been attacked. No injuries are reported. The latest shelling comes as a response to the Israeli killings, Gaza militants announced on Wednesday. Following Tuesday’s launches, they promised more attacks on Israel. Referring to the Jerusalem bombing, Israeli police say Palestinian militants are behind it. Sa'D Nimer, lecturer of political science at Birzeit University in Ramallah, says it is too hard to determine which side is to blame. In response to such allegations, Israel tends to say it is acting in retaliation, and the Palestinians claim the same. Sa'D Nimer believes that the way out of this cycle of violence lies in the resumption of talks on the establishment of the Palestinian state – something, he says, Israel is reluctant to do. 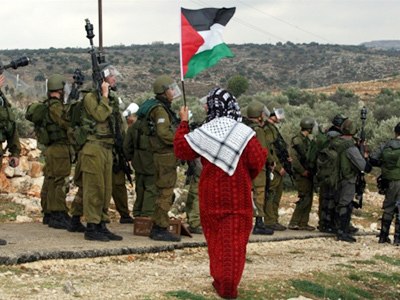 “It’s quite obvious that to end the circle of violence in the area is to solve once and for all the Palestinian question by resuming the negotiations on the ground of establishing the Palestinian state within the 1967 borders,” Sa'D Nimer added. ­Hellel Schenker, the co-editor for Israel-Palestine Journal believes that Israel will not use this bombing to justify another war. Speaking in front of Jewish activists in New York, Israeli Defense Minister Ehud Barak has called on the resumption of the peace talks with Palestinians. Barak stressed that despite existing difficulties, the alternative to the peace process is much worse. 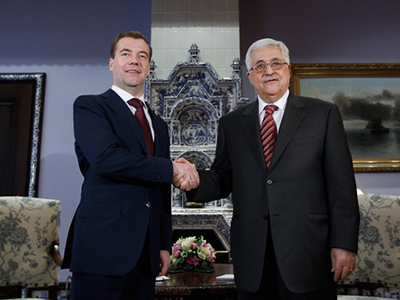 ­The head of the Palestinian Authority Mahmoud Abbas, who is currently in Moscow, pronounced on Wednesday that Palestinians seek peaceful relations with Israel. Abbas added that he recently volunteered to visit Gaza and that he condemns aggression from both sides. "I am determined to do so and I am going to travel there,” he said. 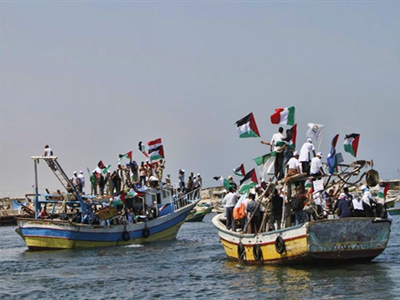 “Unfortunately, Israel has currently escalated [military operations] against Gaza Strip and is launching strikes upon it. We also condemn missile attacks and other manifestations of aggression by Gaza against Israel."